DISCOVER ITALY WITH ME! 17 DAY / 15 NIGHT ESCORTED TOUR - ROME TO ROME - Rome, Sorrento, Capri with Sicily October 10 - 26, 2019 Starting at $3850 per person, based on double occupancy. Contact me for a detailed itinerary and further information. Included: Luxury Coach with WiFi, includes all accommodations, 13 breakfasts, 10 dinners, 5 optional excursions, 4 ferry rides, UNESCO sites, jeep or cable car ride, Professional Tour Director/Local Guides, Prepaid Gratuities, Roundtrip Transfers (with our Air) Starting at $3850 per person, based on Double Occupancy (Price subject to change) Air or Insurance not included in this price, please inquire. Only $550 per person deposit required before October 23, 2018 to enjoy a $50 per person discount plus Show discounts offered for those who attend my Travel Presentation. Final Payment not due until August 2019. Contact me for further information on the dates and discounts, plus a detailed day by day itinerary. PRESENTATION STARTS PROMPTLY AT 6:45PM - COME EARLY TO REGISTER TO WIN DOOR PRIZES - REFRESHMENTS PROVIDED - RSVP ME TO RESERVE YOUR SPOT! Enjoy an exciting yet relaxing vacation, that gives you the freedom to explore, within the safety and security of a group. 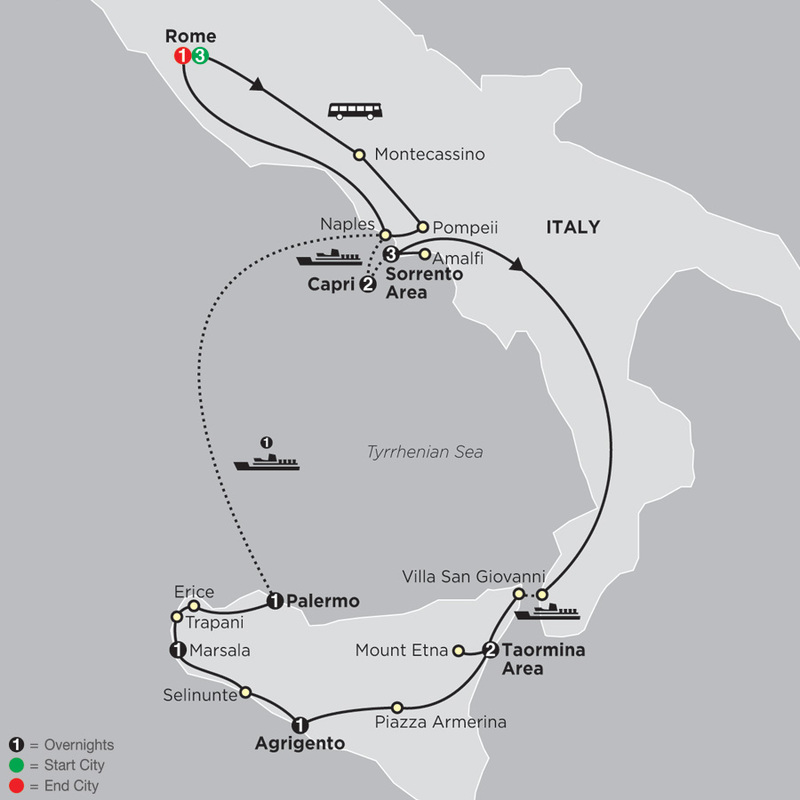 Enjoy the benefits of a unique, one-of-a-kind experience, coupled with loads of value monetarily and memories from exploring three of Italy's most popular cities, Rome, Sorrento and Capri, followed by Sicily, a magnificent yet charming largest Mediterrean island. This leisurely tour includes four nights in Rome, two nights each on the magical island of Capri and the Neapolitan Riviera. Ancient historical sites, spectacular scenery and authentic Mediterrean charm. 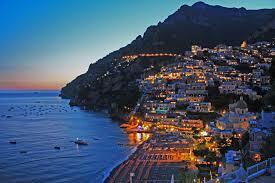 All followed by the legendary island of Sicily, known for it's breathtaking beuty, rich in history and culture. 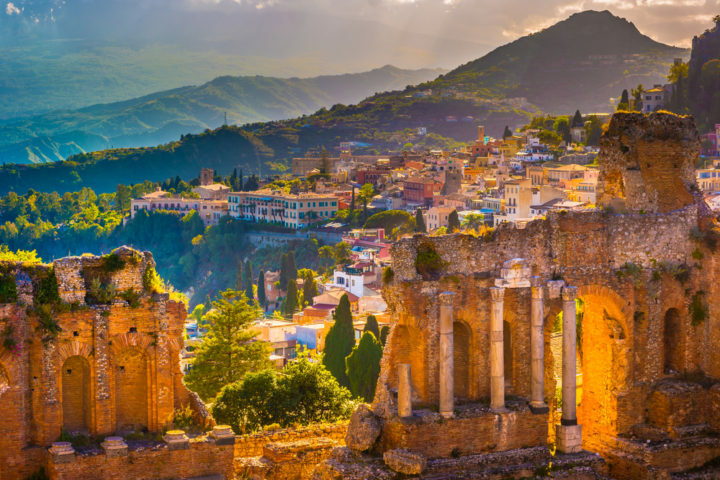 Some of the highlights of this tour include the Rome "must-sees", a guided tour of Pompeii, Valley of the Temples, Mount Etna (Europe's most active live volcano) and views of the Amalfian Coast. 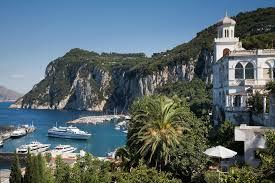 Enjoy visits of the laid-back town of Sorrento and the charming island of Capri. Both offer breathtaking views of the crystal-clear, blue sea. Capri is beautiful ... seriously beautiful ... Located in Italy’s Bay of Naples, Capri is an island that has it all; jaw-dropping natural beauty, a see and be seen scene, amazing cuisine, world-class shopping and water in colours you have to see to believe. Famed for its rugged landscape, upscale hotels and shopping, from designer fashions to limoncello and handmade leather sandal, one of its best-known natural sites is the Blue Grotto, a dark cavern where the sea glows electric blue, the result of sunlight passing through an underwater cave. There’s barely a grubby building or untended garden to blemish the splendour. 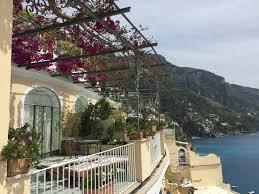 Steep cliffs rise majestically from an impossibly blue sea; elegant villas drip with wisteria and bougainvillea. Even the trees seem to be carefully manicured. As we wind our way down the Amalfi coastline, the road features coastal mountains plunging into the sea, dramatic cliffs, inlets and bays interspersed with picturesque towns ... all with the deep-lue water for scenery that is nothing short of spectacular! We board the ferry for the 45-minute crossing to Sicily and then a few more miles where we arrive in the Taormina area, where we spend the next 6 nights enjoying some of the best culinary and wine experiences i the Mediterrean, not to mention exploring the ancient Greek architecture which rivals Greece. 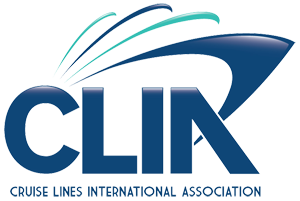 Enjoy an evening embarkation for the overnight ferry from Palermo to Naples. Get to know Naples with a Local Guide and then return to Rome for a Farewell Dinner and overnight. Your vacation ends with breakfast the next morning, unless you choose to stay longer. You don't want to miss out on this affordable and Grand Italian Adventure & Vacation! Interested in DISCOVER ITALY WITH ME! ?